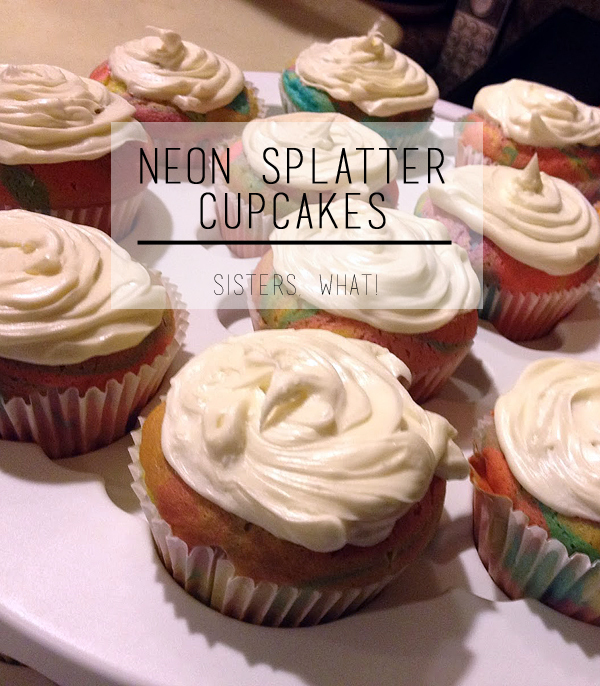 ' Neon Splatter Cupcakes - Sisters, What! So sometimes when I decide to do something I pick something really big and then realize later on how much work it will be. Example one: This cake. 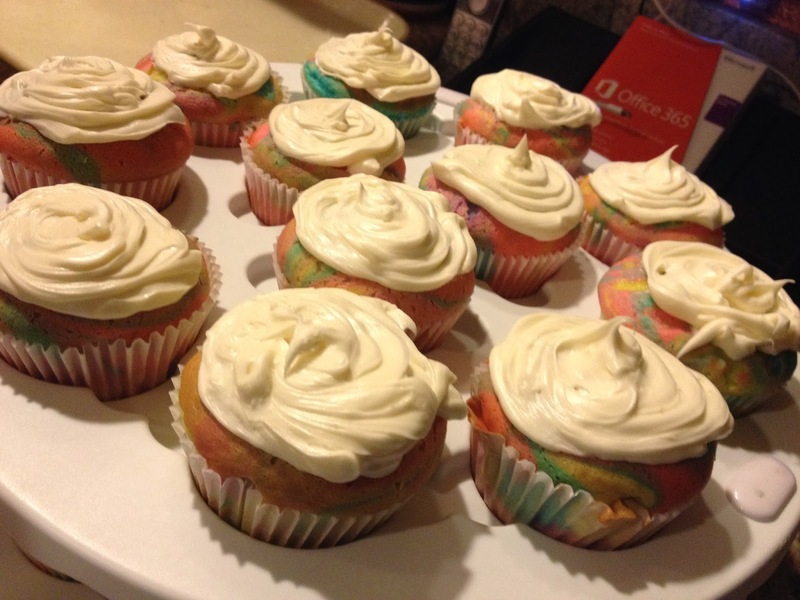 And when I picked these cupcakes and I bought the ingredients I knew I had done it again. Picked something big just because it looked cool. But it turned out I was wrong. 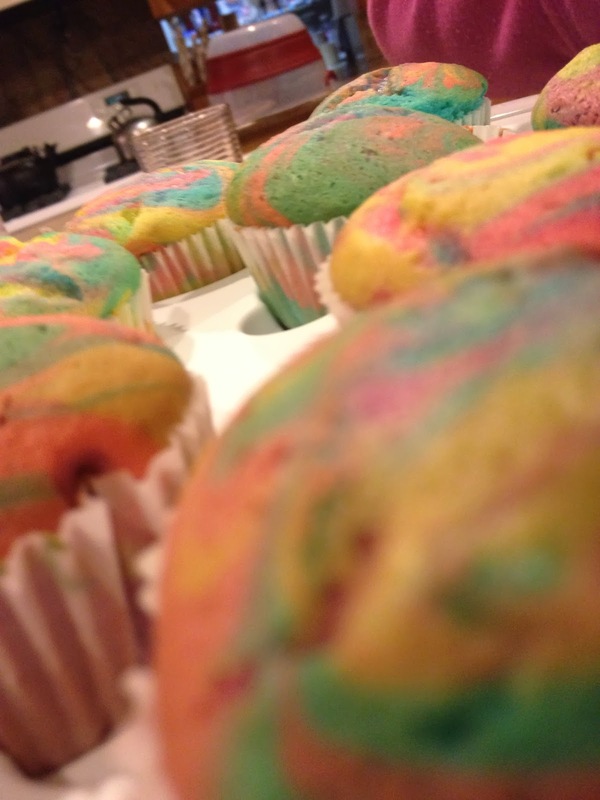 They look cool, super fun to make and not hard at all. 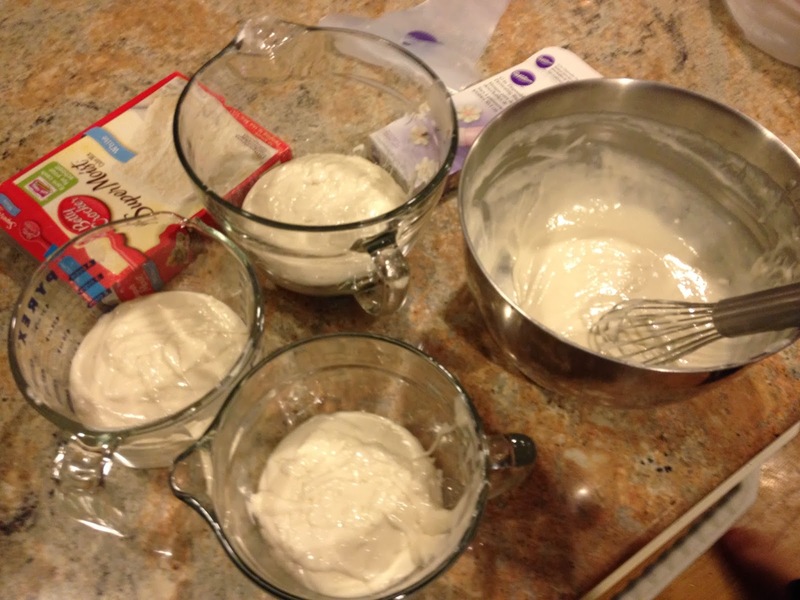 So you start out by making the cake batter and then dividing it into separate bowls. We did four but you can do as many as you'd like depending on how many different colors you'd like. Next we added the colors. Okay so how we did this. Let's be honest, we were making it up as we were going. 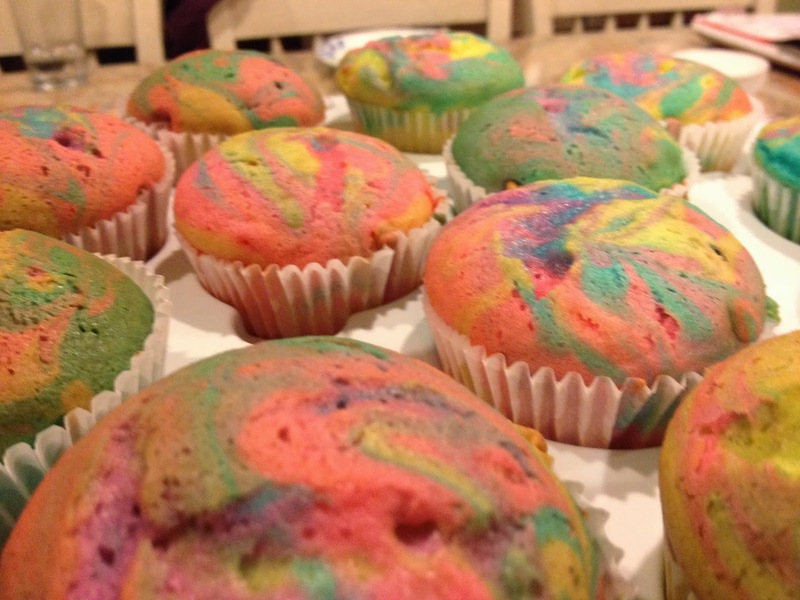 But what we did was filled up each one with one main color almost 3/4 of the way up and then drizzled different colors on top to fill it the rest of the way. 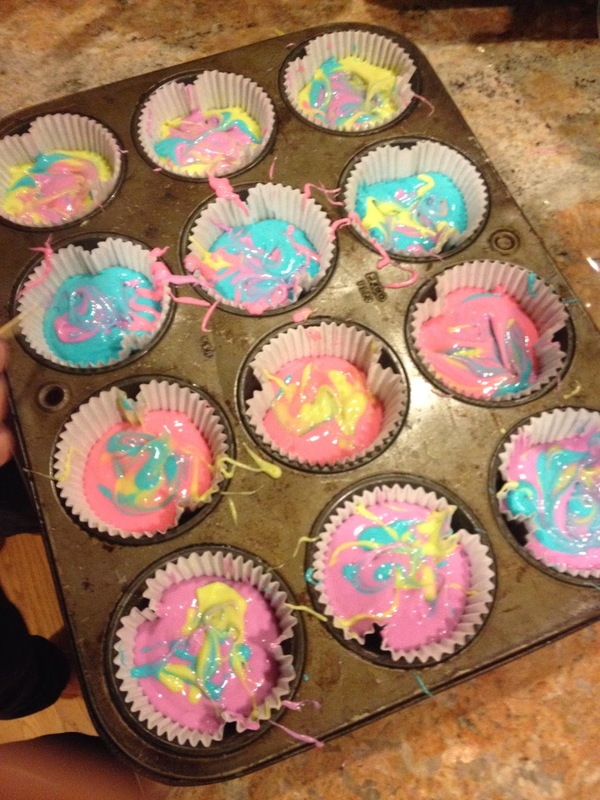 Then we took a toothpick and kind of drew a star in the batter to mix the colors up a bit. We went for not a lot of frosting so you could still see the party that was going on underneath it. So try them out. If you do let us know how it goes and take a picture and post it on Instagram and tag us, @sisterswhat. Or even tag us on Facebook. Enjoy! so cute! 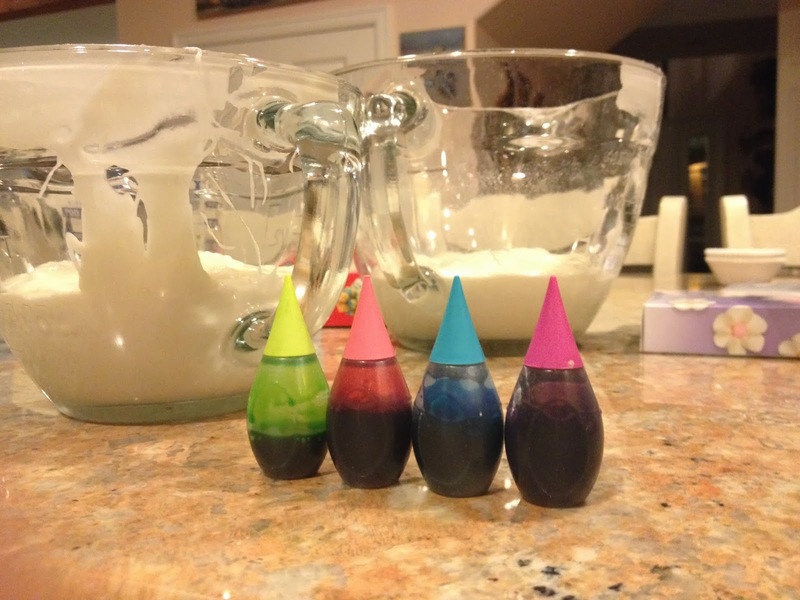 I'm going to try making these with my preschool kiddos.